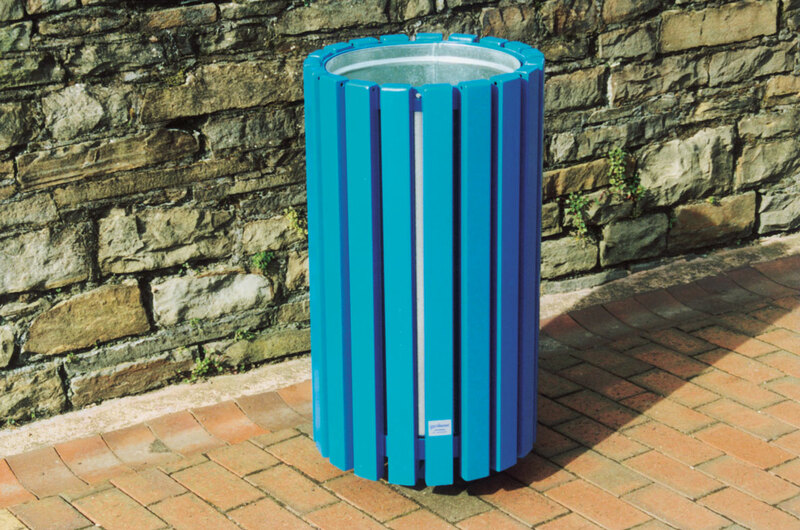 Similar to the Ruthin, but with box section slats, this bin has a smoother profile. 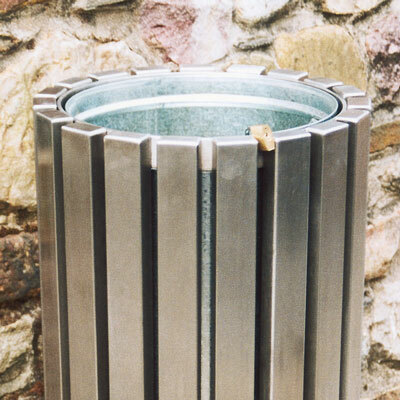 It is highly resistant to fire, and attack by vandals. 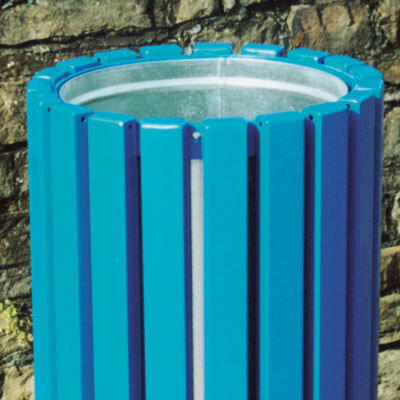 It has a capacity of 55 litres, and has a single circular hollow leg. 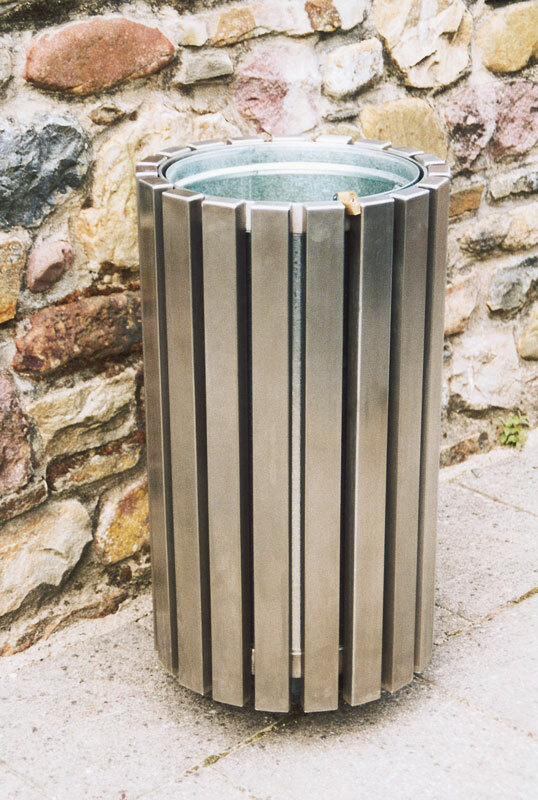 The stainless steel version has a brushed satin finish.